Welcome to PIT Stop Airport Parking! You’re here because you’re looking for Pittsburgh Airport Parking. Look no further! PIT Stop Airport Parking is the only off-airport valet parking facility on the way to the Pittsburgh International Airport from downtown Pittsburgh. PIT Stop is open 24 hours a day, 7 days a week, 365 days a year. PIT Stop will get you to the airport’s front door faster than if you park at the airport and for a lot less money. Try us one time and we guarantee you’ll never use the airport or any other Pittsburgh Airport long term parking facility again. PIT Stop is on your way to the airport, so you save time, gas and mileage. PIT Stop offers valet parking under a well-lit covered canopy, so you stay safe, warm and dry. You’ll never need to search for a space again. 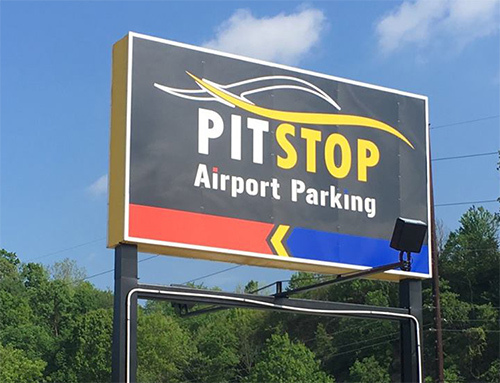 PIT Stop offers a VIP Loyalty Program where you can quickly earn free Pittsburgh Airport parking. PIT Stop provides Express Check In and Check Out. When you return, your car is waiting under our covered canopy with your receipt already printed and on the dashboard. 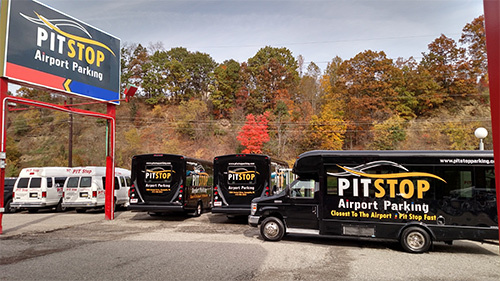 PIT Stop also offers Baggage Assistance, Express Luxury Shuttles, Curbside Drop Off and Pick Up, 24/7/365 Operations, and Security. Your car will be waiting up front for you upon your return; cooled down in the summer months, and cleared of snow and ice, all toasty warm for you, in the winter. Please note that PIT Stop Airport Parking accepts credit/debit cards, but we do not accept cash. 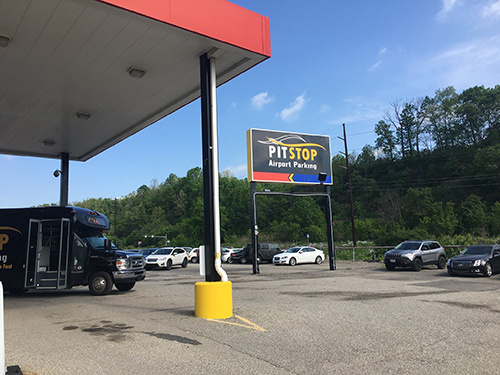 Experience Life in the Fast Lane at PIT Stop. We’ll get you home faster than anyone else with our Express Check In and Check Out service.We know that after traveling, the last thing you want is to get held up. You want to get home. We get it. That’s why we have Express Check In and Check Out service, which comes standard for all of our guests. Our express check out service ensures that when you return, your car is waiting under our covered canopy with your receipt already printed and on the dashboard, because we realize your time is valuable. Did we mention we’re the only Pittsburgh Airport parking lot to offer this service? We are!